By using HubSpot marketing automation driven by the team at Cognition, that’s how. Its cameras are designed to gain a foothold into the lucrative home automation market. 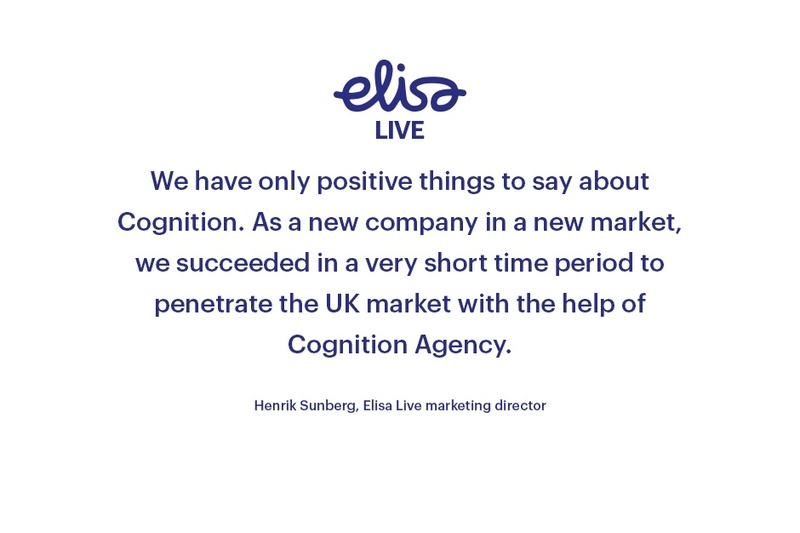 In Finland, where Elisa is a household name, the product had gained considerable traction and had sold in the region of 100,000 units prior to its UK launch. However, there had been resistance from mainstream UK multiple retailers. We started having a conversation with Elisa because sales volumes in the UK were extremely low. Not surprising, really, as they had no sales and marketing strategy to talk of. Less surprising when you consider that the UK market was completely alien to them, too. Aggressive sales targets had to be hit and all the while the competition were stealing a march on Elisa Live. Oh, and did I mention – there was no e-commerce platform either. Should’ve walked away at that point, perhap. But it was a challenge we were willing to accept, not least because the product was in fact, fantastic. To make the biggest impact through inbound marketing we embarked upon a three-point marketing strategy that utilised HubSpot at the heart of its automation to attract, inform and convert. The first step was to conduct customer research, step two was the inbound strategy which fed into step three, to boost engagement on their website and app via SEO, landing pages and social media in order to drive traffic to the dedicated Amazon store pages. In addition, a customer implementation plan to retain and upsell subscription packages was introduced. This was conducted to establish buyer personas and buyer behaviour. 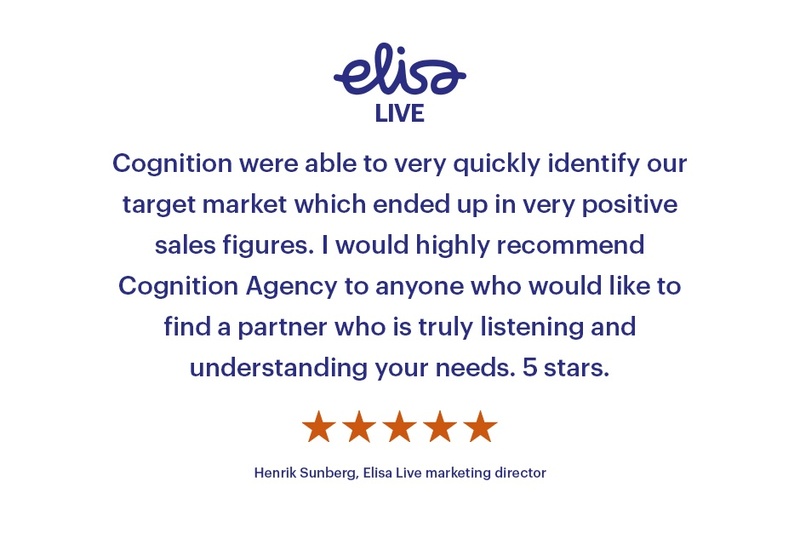 Elisa Live provided various levels of service back up and we decided to concentrate on the premium package members for pre-qualifying criteria and implemented a marketing automation campaign via workflows and followed up by phone calls. This determined which product a customer bought and why, which competition were considered, age, which features attracted them and what the main purpose / use of the camera was. Elisa customers were extremely loyal to the brand and open to buying more devices. 83% of respondents would upgrade subscription on multiple devices if there was a structured discount system (current pricing structure acted as a barrier to this). There was a desire for an outdoor camera model. That Facebook should be the primary advertising channel. 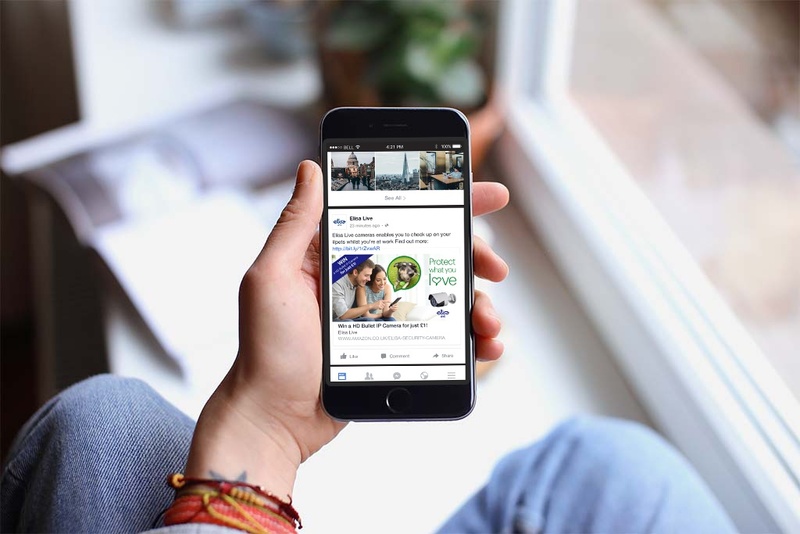 Facebook users and customers were willing, and poised, to engage. The Amazon listing and structure was pivotal to success. HubSpot needed to be integrated with the Elisa Live sales platform. Those fitting the ‘Pet Lover’ persona were the most willing to engage however security-conscious home owners had the most sales potential. We could exclude the “Caring for the elderly” and “Baby monitor” personas due to reduced market size and competition in those relevant areas already being extremely high. A mix of Amazon, Facebook and PPC advertising was required. New customers & a 14-day free trial: 3 x countdown emails, 1 x landing page and prompts where necessary. Reminder 1 / 2 x months on which was automated and linked to a countdown contact property. Dormant Basic Users – Similar to above, smart content targeting dates. Outdoor camera pre-launch: 2 x countdown emails, pre-order landing page. Customer feedback reward programme – 2 x emails, survey landing page and prompts. 10 camera prizes - randomly selected based on share post and comment. 68.6% increase in Amazon sales ranking. More than 95% increase in subscription upgrades to Elisa’s premium package in three months. New product review ratings increased by 250% over the quarter. After three months, Elisa Live achieved the biggest single sales day in their history. First three months saw an extra 100 new premium memberships. Marketing automation campaigns drove Amazon customer reviews up from 2 to 5 stars in three months. 100% increase in contact conversions in their first month. 95% conversion rate in premium membership uptake following free trials and automation campaigns. Successful new product launch and subsequent sales. PPC click-through-rate up by 7%. Page one visibility for SEO rankings. Month-on-month increase in sales and positive customer reviews.